Smuggling wars in the Sahara? On Saturday, the last bit of proof I have sought since last year about surface-to-air missiles (SAMs) leaving Libya became public, when Reuters reported that Algerian security forces had seized a sizable cache of the weapons a little more than 60 km south of In Amenas, itself about 40 km from the border with Libya. 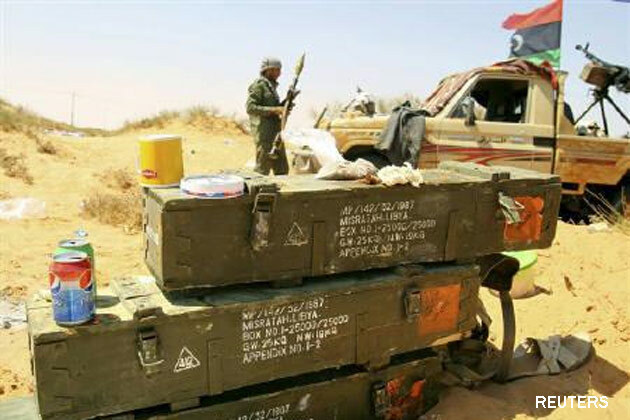 On Monday the francophone Algerian daily El Watan provided more details on the story, noting that the stock, which had been carefully protected and buried in the desert, contained 43 missiles, including 28 SA-7 missiles as well as 15 of the significantly newer and more advanced SA-24 (oddly, the link to the original El Watan article seems to have disappeared from the website). This is of course important news, as it would seem to confirm what Algerian and Chadian leaders first warned about last March, that highly advanced missiles were being taken from Libya – though we do not know for certain when the weapons actually began disappearing into other countries. Unsurprisingly given the concern about the threat these weapons may pose to civilian aviation, this story was reproduced by several wire services and press outlets. But for me another key part of the story that got less attention was that Algerian security forces only discovered the weapons stores after another trafficker or group of traffickers tipped them off. The weapons seem to have been at a midway point in the delivery process; as the original article noted, after bringing in the weapons from Libya, smugglers wrap the stock in protective plastic before burying it and marking the location on a GPS. Once the prospective buyer has paid for the weapons, the article continues, they are then given the GPS coordinates for their brand new supply of missiles, guns, or whatever else might be buried in the desert. While the article did not go into more detail, the suggestion of rivalries among weapons traffickers in southeastern Algeria raises some intriguing questions for me. The first is, well, why talk to the Algerian authorities? Did Algerian authorities arrest a group of traffickers who then squealed on another group? Was this a calculated attempt to eliminate rivals, curry favor with authorities, or perhaps drive up the price of other available weapons? And presuming this was not the only collection of such weapons that have made it across the border, how many others have gotten through? After all, Algeria’s government says that they arrested 214 weapons smugglers in 2011 – including 87 Libyans – but this is the first publicly announced seizure of SAMs that I can recall. This leaves just one final question: Where were these weapons going? The natural choice for many would be al-Qaeda in the Islamic Maghreb (AQIM), though there are other militant and criminal networks in the Sahel and North or West Africa that could certainly make use of these weapons. 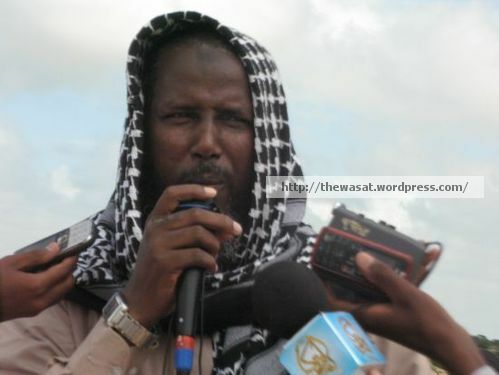 However, it is worth noting that relatives of key Sahelian AQIM commander Abdelhamid Abou Zeid (Or Abid Hammadou, or Mohamed Ghdir, depending on which name you prefer) are known as prominent smugglers in this region as well as in Libya, where Abou Zeid himself reportedly operated as a smuggler before entering into militancy. Indeed, some sources suggested that relatives of Abou Zeid may have been responsible for the brief kidnapping last month of the prefect of the Illizi province following guilty verdicts handed down by an Algerian court not just on Abou Zeid but also on several family members. 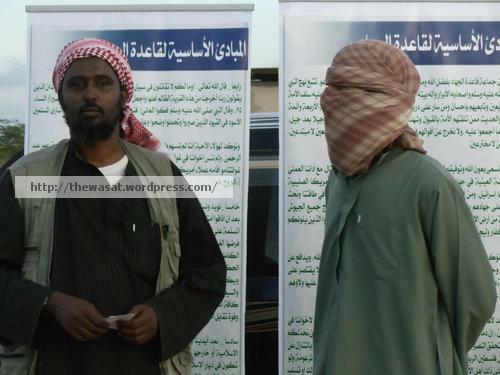 Other sources indicated that the kidnappers were AQIM members under Abou Zeid’s command, though the two are not mutually exclusive. Either way, the kidnappers made quick time into Libya, where they were stopped by Libyan militia forces a day later and more than 100 km away from the Algerian border. All of this goes to show that for all of the discussions of weapons smuggling in the post-Qaddafi Sahel, there’s been relatively less public inquiry into the extremely complicated networks of smugglers in the Sahel, groups sometimes linked by direct family ties, by tribe, by ideology, or just by the allure of cash. Yet in order to understand how weapons, drugs, cigarettes, and people circulate in the Sahel’s clandestine networks, we need to learn more about the smugglers who make these trades possible. Despite the fact that the new interim president and members of the interim government have visited several regions of the country in the past week, no efficient measures were taken to deal with the scarcity of essential goods in the North West. However, while the government has failed to provide an answer, Tunisian citizens have tried to create solutions. A group of Tunisians living in Germany started a volunteering company, using social networking to collect covers and clothes for those struggling with the cold in the deprived rural areas of the north-west. The group of Tunisian-Germans were looking for more volunteers within Tunisia to help them deliver covers and clothes to families in need. Additionally, Qatar and UAE both sent airplane loads of supplies. There are also indigenous Tunisian groups that have attempted to assist, including El Kolna Twensa, Le PaCTE Tunisien, the Enfidha airport workers, and the Assabah/Le Temps newspaper group. Part of the issue is the lack of access due to roads being blocked by as many as 2.5 feet of snow in very rural areas. 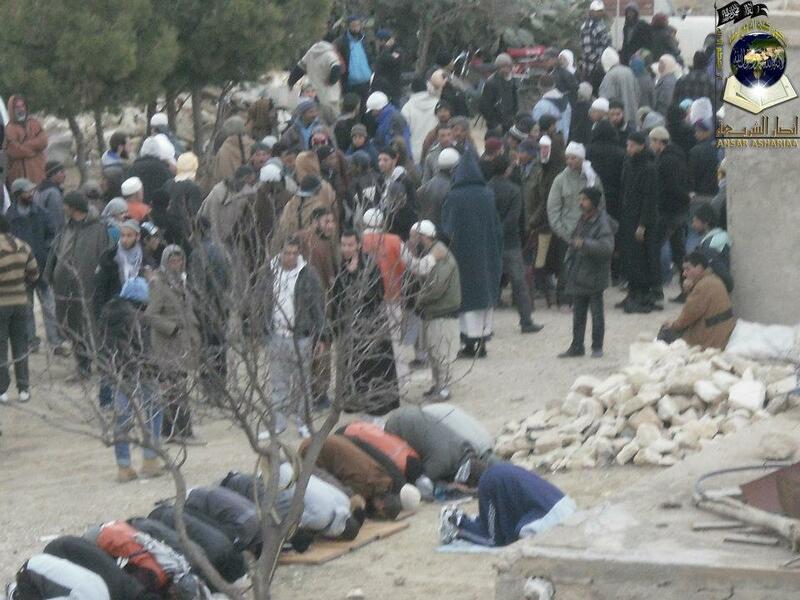 Although efforts were difficult, an-Nahdha did mobilize some of its supporters to help with relief efforts. The secular-affiliated relief groups and organizations have targeted its aid more so to the governorate of Jendouba, since that region is viewed as more independent, moderate and socially liberal; whereas areas in the governorate of Kasserine are seen as more amenable to the message of a group like Ansar al-Shari’ah in Tunisia. Although the snow has receded in some of the areas, the temperatures remain cold and residents such as in the city of Haydrah, which is in the governorate of Kasserine and about an hour northwest of the city of Kasserine, are still struggling to survive the harsh conditions. On Saturday February 18th, the non-violent jihadi group Ansar al-Shari’ah in Tunisia (that has connections to al-Qa’ida’s global jihadi online network) announced on its Facebook page that it was planning a convoy to take aid to suffering brethren to the town of Haydrah on Monday the 20th. Prior to driving from Kasserine in a convoy of trucks and vans, the spiritual leader of Ansar al-Shari’ah in Tunisia Shaykh Abu Ayyad al-Tunisi emphasized to his followers the wajib (obligation) of providing aid to those in need as an Islamic duty and that these services were an aspect of jihad fi sabil Allah (in the cause of God), which would hopefully lead eventually to the creation of an Islamic state or Caliphate. One can see a variety of pictures from Ansar al-Shari’ah in Tunisia’s da’wah activities that assisted the residents in Haydrah below. 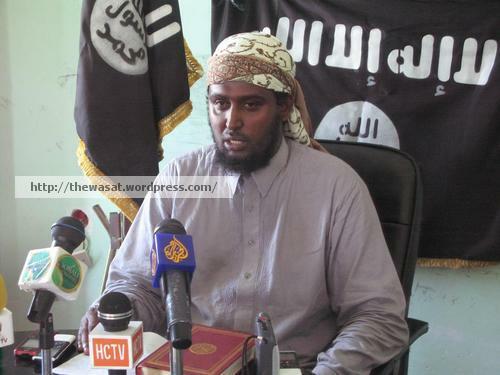 Although in differing contexts, one sees similar efforts to provide services and governance in Yemen by Ansar al-Shari’ah in Yemen as well as Harakat al-Shabab al-Mujahidin in Somalia. This differs from previous methods by jihadis, which did not emphasize providing social services and basic needs like the case of al-Qa’ida in Iraq or even al-Qa’ida Central to local populaces. From this, a potential pattern is emerging whereby jihadis have learned the valuable lesson of providing for locals to curry more support versus blindly just calling for jihad and rhetorically speaking about a future Islamic state. In short, they are actually (dare I say) on a minuscule level providing a positive good versus just wrecking havoc through audacious suicide attacks and bombings. Either way, not only should the secularists in Tunis be worried about the potentially rising popularity of anti-systemic pan-Islamists like Ansar al-Shari’ah in Tunisia, but an important aspect of an-Nahda’s raison d’être and credibility is being challenged in the same way an-Nahda did to the old regime. Late last month, Foreign Affairs magazine ran a rather surprising article from Seth Jones, the RAND political scientist and well-regarded scholar of American military tactics, titled simply “Al-Qaeda in Iran.” Surprising not for what the article reveals, but for what it fails to fully analyze, and what it misses entirely. Digging into the details of the piece, I was disappointed to find that, well, there aren’t very many of them. Jones only names a limited number of people actually believed to be in Iran, including the figures on what he terms al-Qaeda’s “management council” in Iran — Saif al-Adel, Sulayman Abu Ghayth, Abu al-Khayr al-Masri, Abu Muhammad al-Masri, and Abu Hafs al-Mauritani — as well as Yasin al-Suri, who Jones calls an al-Qaeda facilitator. While al-Suri and Abu al-Khayr aren’t exactly household names, al-Adel, Abu Ghayth, Abu Hafs, and Abu Muhammad are all long-time al-Qaeda figures, and the first three should be known to anyone who has even given a cursory study to al-Qaeda’s history before and after the 9/11 attacks (and again, their suspected presence in Iran has long been noted by specialists and journalists alike). The second major fault of this piece is that, despite having “culled through hundreds of documents from the Harmony database at West Point; perused hundreds more open-source and declassified documents, such as the U.S. Department of Treasury’s sanctions against al Qaeda leaders in Iran; and interviewed government officials from the United States, Europe, the Middle East, and South Asia” Jones doesn’t acknowledge the widespread reports that circulated in 2010 that al-Adel, Abu Ghayth, and Abu Hafs had quietly been allowed to leave Iran. While these reports may not be conclusive, the possible departure of such key leaders from Iran seems to be too important of a data point to simply ignore. 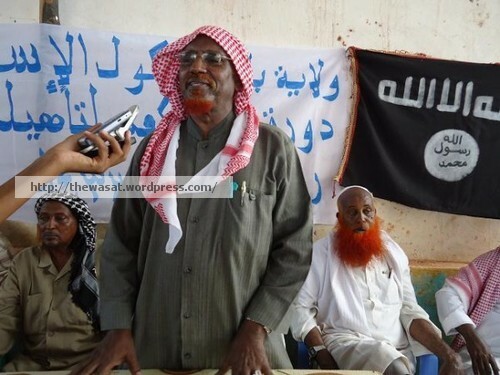 Moreover, last fall Mauritanian news sources suddenly reported that the family of Abu Hafs al-Mauritani, whose real name is Mahfouz Ould Walid, had been repatriated to Mauritania and were being debriefed by Mauritanian officials. Admittedly, there aren’t many people who make it a regular habit to peruse the Mauritanian press. But this information was and is available online, and I personally know a number of lay analysts and former intelligence analysts who not only saw this information, but talked about it publicly on forums like Twitter. It is one thing to allow personnel to travel freely, but another altogether to give up the leverage gained by holding on to an al-Qaeda leader’s family. However, because this information does not make it into Jones’ article, its impact cannot be addressed. This assertion smacks of contradiction, though no analyst can predict the future hypothetical reaction of Iran and al-Qaeda to a hypothetical U.S. or Israeli strike. But history lends this argument no credence, and Jones gives no evidence to back up his own eventuality. While al-Qaeda’s capabilities are open to debate, the organization has not managed to even link itself to a successful attack against the West since the 2005 London transport bombings. And al-Qaeda core has never managed to stage an attack against Israel — though groups inspired by al-Qaeda have succeeded in a limited fashion, while others paid a heavy price for their allegiance. Moreover, while some believe al-Adel has played an increasing operational role in al-Qaeda since 2010, major al-Qaeda plots in recent years, including the 2009 New York Subway bomb plot and the 2010 “Dussëldorf Cell” plot in Germany involved senior al-Qaeda operatives in Pakistan’s tribal areas. As Paul Cruickshank has detailed, al-Qaeda operatives in the tribal areas have played a major role in training foreign fighters and plotting attacks against the West even as drone strikes decimated the group’s leadership, though this may change following the deaths of crucially important figures like Attiyatullah Abu Abd al-Rahman. Yet the point remains that al-Qaeda’s leadership in Iran have not been essential players in plots against the West since 9/11, and Jones does not show why this center of gravity would necessarily shift to Iran, even if the Ayatollahs or Mahmoud Ahmedinejad decided that it should. Despite the time I’ve spent directly critiquing Jones here, my point here is not to attack him, but rather to show the importance of dealing with al-Qaeda’s history, especially since 9/11, in analyzing what the group may do next and how they will continue to operate in a post-bin Laden world. While much of this is classified, there is still a tremendous wealth of information in the open-source, and there is still no substitute for careful unclassified research. And perhaps, from time to time, you should check the Mauritanian papers.